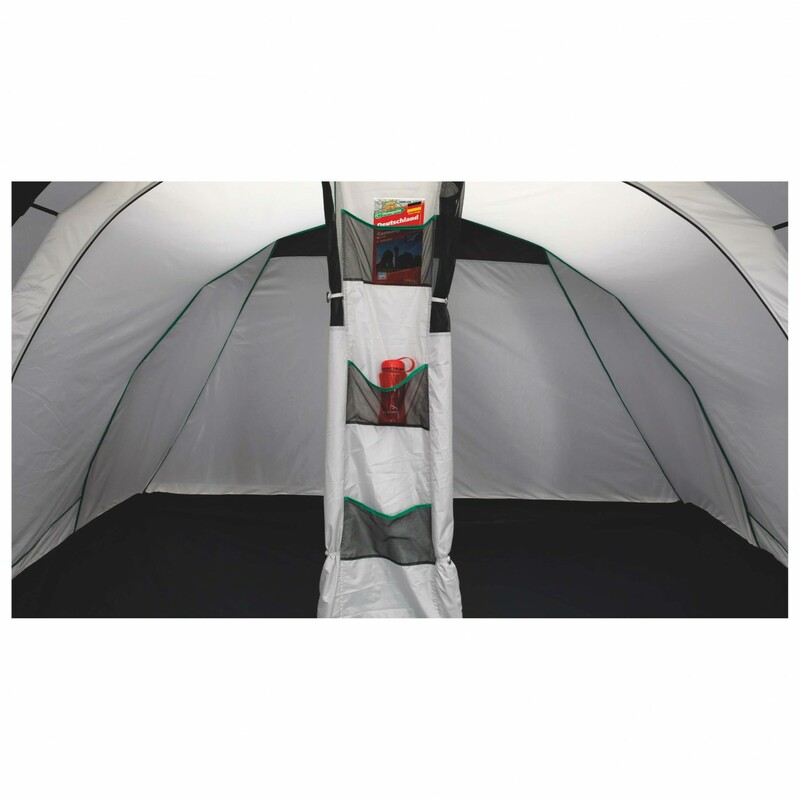 Specifically designed for holidays with friends or family: the Easy Camp Tornado 400 tunnel tent! The inner tent has two separate sleeping cabins, each of which have a door. The sleeping areas are divided by a divider with organiser pockets to keep things tidy. This is the perfect place for anything you may need access to during the night. 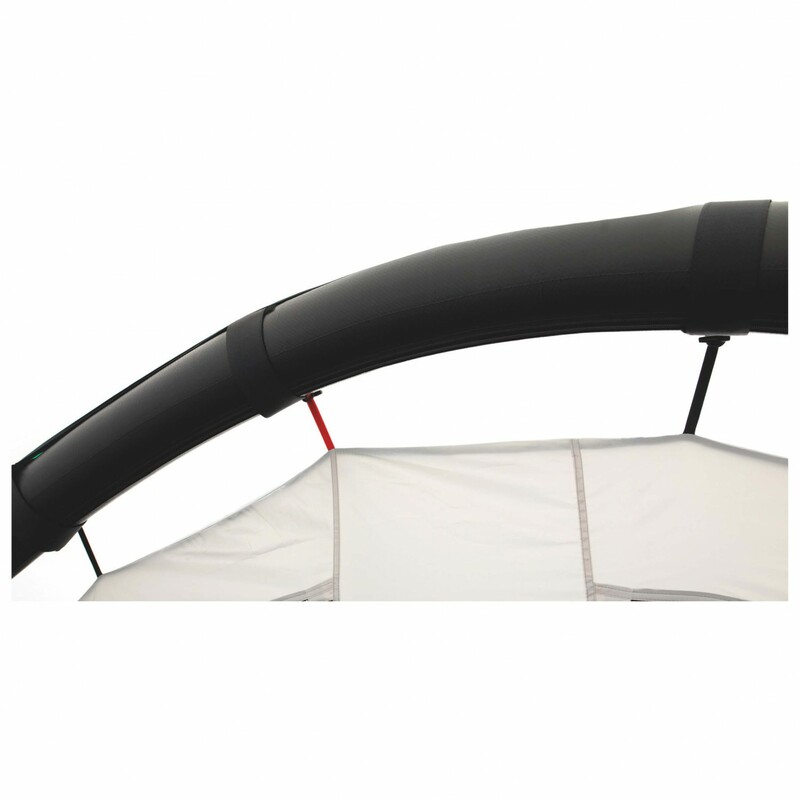 The frame consists of two separate inflatable air tubes, which can be inflated quickly and easily with the two-way pump, which is included. The tent's interior is tall enough for most to stand upright in. The flysheet is made of breathable polyester and equipped with a polyurethane coating and sealed seams for weatherproof protection. The hydrostatic head of the Tornado 400 is 3000mm. In the event of a fire in or around the tent, the tent itself won't burn, but merely melt. The large porch will provide plenty of storage space for your kit. Plus, you can use a detachable bathtub groundsheet to keep everything dry in wet weather. 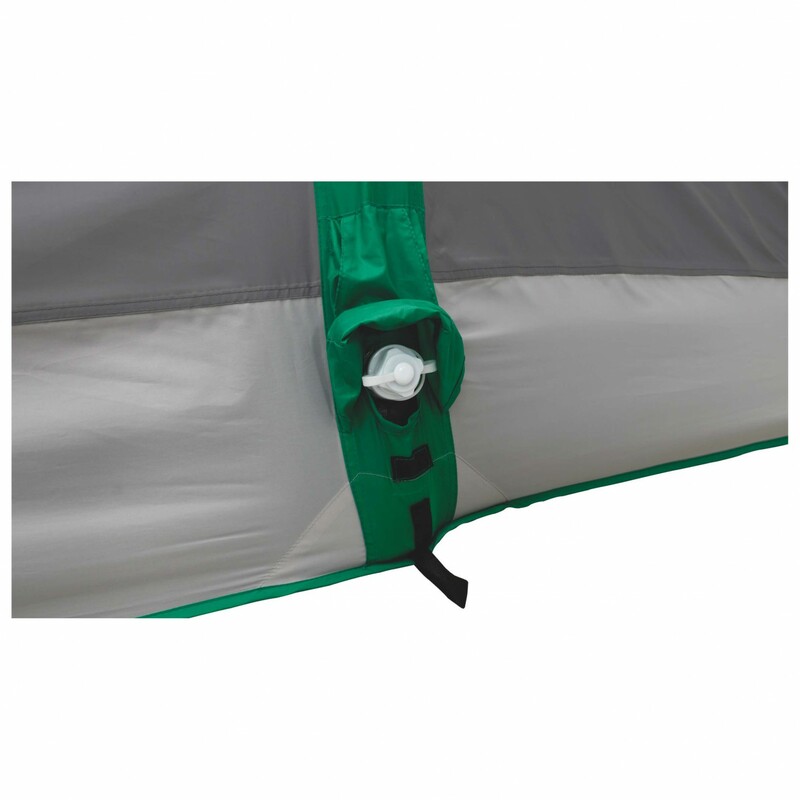 For ventilation, the tent is equipped with rear vents. The two large windows will brighten up the porch area so that you can relax on summer days and nights without needing a light. The interior is equipped with several organiser pockets in which you can store your valuables. Plus, there's a hanger for a lantern as well as mosquito nets on all doors. 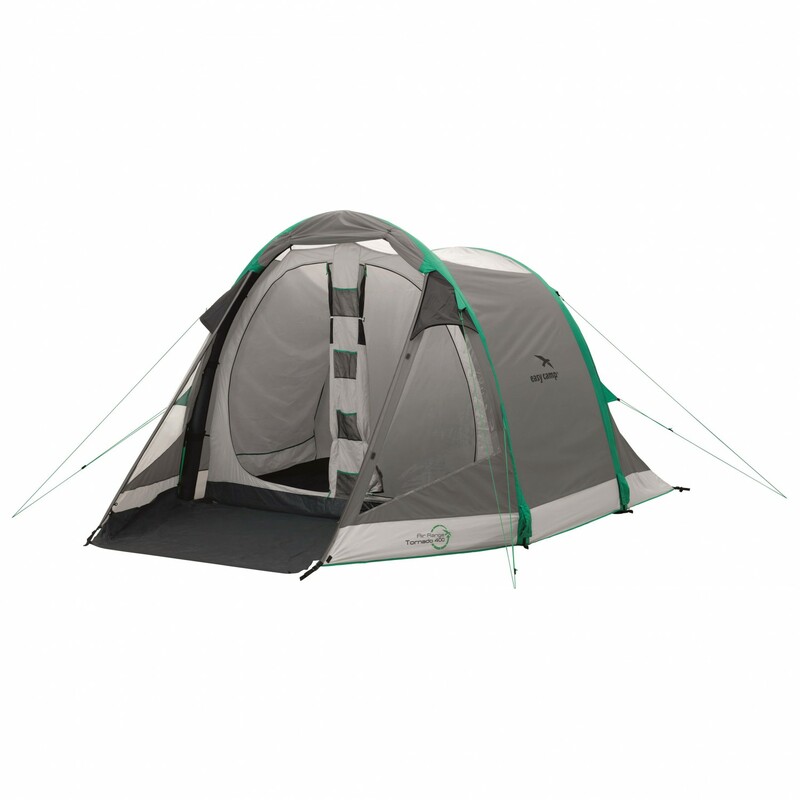 Just an all-round comfortable and reliable family tent - the Easy Camp Tornado 400!